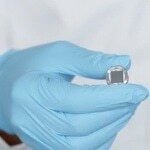 Want to transfer the graphene onto other substrates? 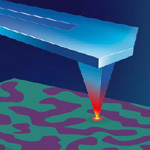 It only takes a second with Trivial Transfer Graphene™ from ACS Materials. 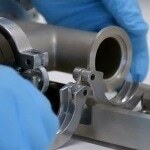 Breakthrough in uniform metal matrix composites. NanoSteel's Advanced High Strength Sheet Steel Properties. 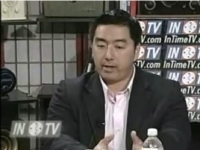 This video shows NanoSteel's President and CEO, David Paratore discussing about the company’s new class of steel that has high ductility and high strength properties for increasing formability. 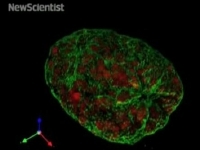 This video shows how to make samples with gold nanoparticles. 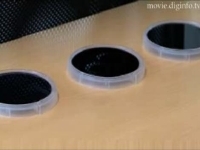 Jurriaan Vollebregt, VSP engineer, explains how to make a sample with the diffusion accessory. 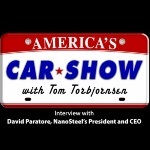 This video shows NanoSteel's President and CEO, David Paratore, discussing how the company is redefining steel for the automotive industry. 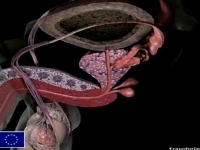 An instructional video illustrating the amazing results now achieveable with the X-Max SDD detector. 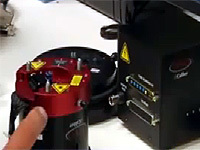 The latest Oxford Instruments' energy dispersive x-ray spectrometer. 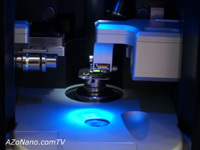 This slick animation provides details on the Hysitron TI 950 TriboIndenter and TI 750 Ubi Nanomechanical test Instrument. 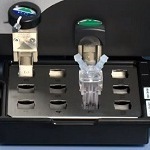 Key features, specifications and capabilities are outlined as well as the variety of operating modes for the TI 750 Ubi. Chris Orsulak from Bruker points out the main features of the ContourGT Optical Profiler and briefly describes how it works. he also shows us how it can take measurements in very short time frames and how the new AcuityXR measurement mode (introduced at the 2010 MRS Fall Meeting) can produce improved results due to the increased lateral resolution. 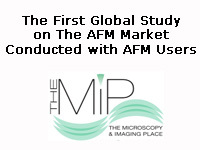 David Lewis form Nanonics Imaging shows us their Multiview 4000 multiprobe SPM system. 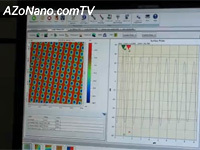 It can cater for up to 4 independent probes creating a true nano workstation. 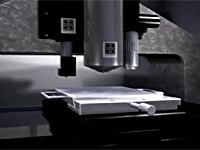 The open platform design enables integration with optical or scanning electron microscopes as well as Raman microscopes. 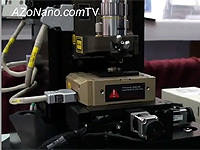 Take a quick video tour of the OmegaScope AFM-Raman from AIST-NT. 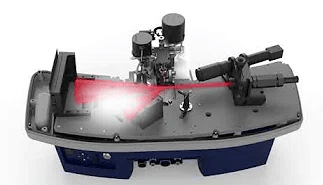 The OmegaScope is based on AIST-NT's Smart-SPM, and features either single or 3 laser Raman capabilities and an objective lens up to 100x magnification. 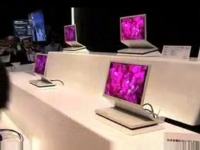 We are introduced to Park Systems new XE-100 series general purpose AFMs. 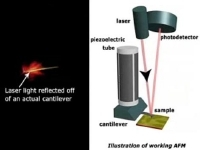 Dr. Sang-il Park explains how the use of a x-y scanner and decoupled z scanner produces very flat scans and how their system can operate in a true non-contact mode to produce accurate, high resolution images, with excellent reproducibility. 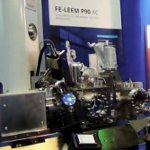 As well as topographical information, the XE-100 series AFMs can also measure electrical, magnetic, mechanical and optical properties of materials. 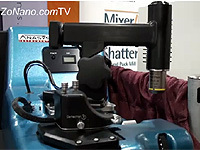 This video shows NanoSteel's President and CEO, David Paratore discussing the company’s breakthrough nano-structured sheet steel, which features a combination of high tensile strength and high ductility in cold-formable steel. 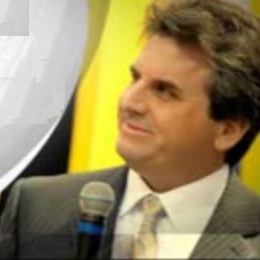 This video shows David Paratore, President and CEO of The NanoSteel Company. 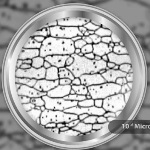 Carbon-MEMS (C-MEMS) refers to a microfabrication technique in which photopatterned resists, heat treated (pyrolyzed) at different temperatures in different ambient gases, are used as a carbonaceous structural and functional material for micro electromechanical systems (MEMS). Frank Laukien, President and CEO of Bruker Corporation, and Mark Munch, President of the Bruker Nano Surfaces Business welcomes the Veeco Atomic Force Microscopy (AFM) and the Optical Industrial Metrology (OIM) instruments to the Bruker family and tell us how Veeco products, staff and clients will benefit from the new organization and the increased resources now available as a consequence of the merger. 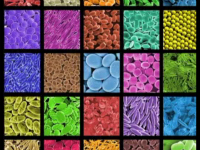 A good video discussion the concerns on the applications and the increase in nanotechnology products available in our market today. 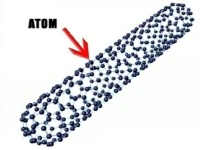 A brief intro on what nanotechnology is and than discussing the concerns on the safety of nanotechnology products and the concern on the environment and health and lack of standards to regulate them and what experts are doing to solve these problems. 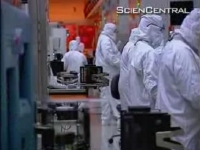 Will the Future of the Nanotechnology Industry Be Environmentally Friendly ? 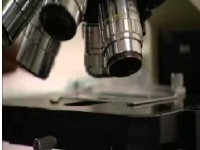 A video discussing the future of the nanotechnology industry in the upcoming century as it will become a multi trillion dollar industry in next decade. 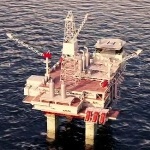 The question that is people are trying to determine is, will it be a green industry ? Researchers are spinning gold and copper nanoparticles to target tumor cell and cancer patients. 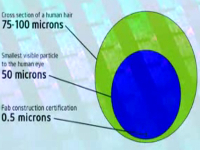 Which deals with particles that are toxic to human beings. 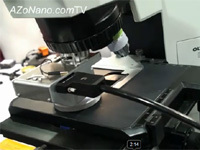 This video shows Daniel Branagan, Chief technical Officer at The NanoSteel Company discussing the company’s new generation of steel that exhibits special microstructures with grain sizes down to the nano-scale level. 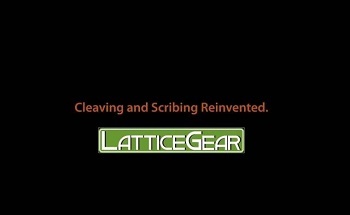 An overview of LatticeGear and their products. 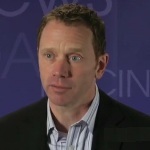 AZoM.com interviewed Robin Low, Director of Greenyarn about their fabrics that contain bamboo charcoal nanoparticles. He briefly explains how they are produced and shows us numerous examples of finished products including socks and underwear. 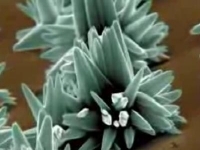 He also outlines reasons for using bamboo charcoal naoparticles which include their antibacterial and deodorizing properties. 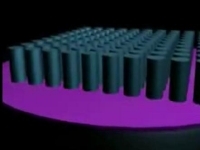 A video demonstrating how the atomic force microscope (AFM) works and how the AFM is use to to look closer into the structures of nanomaterials. 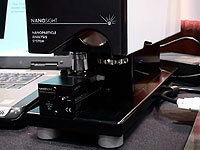 The new LensAFM from Nanosurf has been designed to integrate with optical microscopes and profilers, and add AFM capabilities to them. 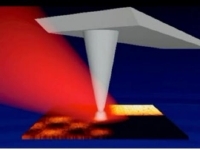 This demonstration shows how easy it is to switching between AFM and optical microscopy/profiler modes. 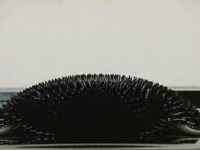 Laser Zentrum Hannover presented a range of micro and submicro structures, created by placing a solid material such as a metal, in a liquid and using short-pulsed lasers to break up the material into nanoparticles. 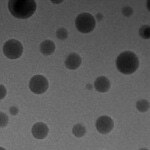 Particular Colloids produce gold, silver, titanium, zinc, magnesium and copper metallic nanoparticles in acetone by laser ablation. Curt Marcott from Light Light Solutions tells us about his experiences characterizing materials using the NanoIR from Anasys Instruments. 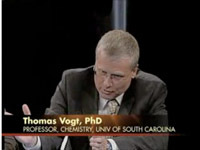 In particular he was excited by the fact that the technique combines AFM and IR spectroscopy, and has spatial resolution an order of magnitude better than conventional IR, which means you can characterize various features of a sample, or even analyze compositional differences across an interface. 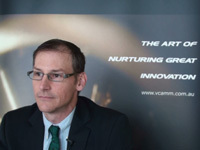 This video shows David Paratore, President and CEO of The NanoSteel Company, discussing the company's Advanced High Strength Steel (AHSS) sheet design for the automotive industry with Jo Isenberg-O'Loughlin of American Metal Market (AMM). 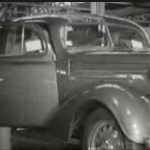 A good video demonstration on the future of manufacturing will change from advancement in nanotechnology and how products can be made from individual atoms. 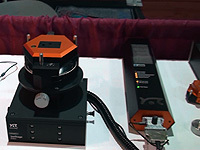 The NanoIR system from Anasys Instruments is a unique instrument that combines AFM and IR Spectroscopy. 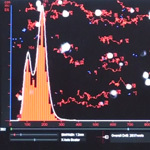 Kevin Kjoller explains how the system works, how they have been able to integrate an atomic force microscope and infrared spectroscope to generate topographical, localised mechanical, thermal and chemical data for polymeric and organic materials. 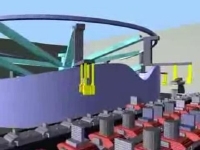 This video shows a brief tutorial about the G1 Reactor Head assembly. Bibianne van der Maesen, VSP engineer outlines step-by-step procedure to assemble the Reactor Head of the G1 nanoparticle generator. 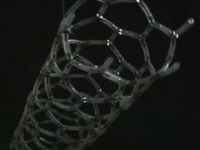 After the Reactor Head is assembled, the device is ready for research applications. 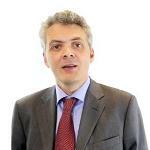 In this video Jonathan Flint, Chief Executive of Oxford Instruments plc talks about the business strategy for 2013-2014. 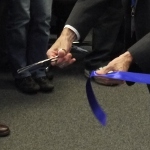 Oxford Instruments is a leading provider of high technology tools and services for research and industry. 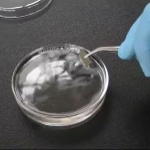 This video demonstrates four simple steps to make and deposit silver nanoparticles on a silicon substrate. 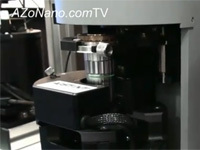 The samples can be easily and quickly prepared for use in nanomaterial research. 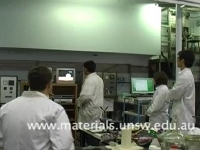 This video shows the Roeland Jijkema, Product Engineer, demonstrating how to quickly install the VSP-G1 nanoparticle generator in the lab. 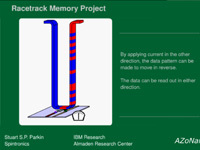 Roeland outlines a step-by-step procedure to set up and make the device ready for research use. 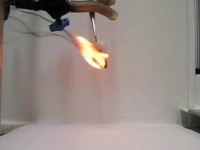 A demonstration on the behaviour of polymer-silica nanocomposite film when ignited with fire. 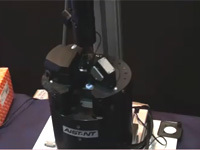 Bill Flecky and Andrey Krayev from AIST-NT show us how easy the SmartSPM is to use. 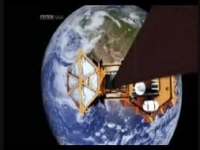 It is able to perform scans very quickly, and in the space of just a few minutes we see them set up the instrument and take a series of measurements. 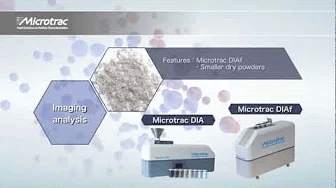 Sam Halim, CEO of Nanograde gives us a quick run down on their extremely versatile system for producing customized nanoparticles and dispersion. 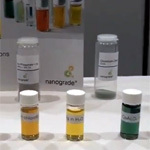 As you will see from the demonstration, Nanograde can produce a vast array of materials made to client specifications. 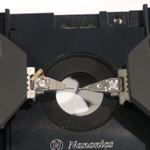 This video shows how sparking can be done in a VSP-G1 nanoparticle generator. 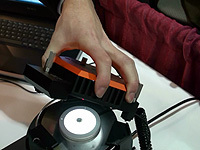 The settings of the G1 nanoparticle generator can be changed by turning the voltage and current controls. A simple push button is used to start and stop sparking.